To download the parent handbook as a PDF document, please click here. The school day is from 8:30 a.m. to 3:00 p.m., Monday through Friday. Most importantly, please be on time! Children are sensitive to the routines of the day and they expect to arrive and leave on schedule. Arrival Classroom doors open at 8:25 and lessons begin promptly at 8:35 a.m.. Children arriving before this arrival time need to be supervised by an adult until the classroom doors open. Children arriving after 8:30 a.m. disrupt the class and miss out on the beginning of the day. Dismissal is at 3:00 p.m.. It is extremely important that all children be picked up promptly at 3:00 p.m. unless they have signed up in advance to stay for an after school program that is taking place at the Smiley Building. If this is the case, the teacher of the after school program should sign your child out. After school, the teachers have several responsibilities to take care of, which include lesson planning, record keeping, tidying up the classroom and preparing for the next day. We take pride in the fact that our teachers are accessible at the end of the day for a quick check-in. Please understand conversations that may require more than that, and deserve special attention, should be scheduled. You may make a phone call to the school, or email the teacher directly if you need to schedule a private chat. On that note, please understand that our teachers are not available to babysit or provide after school care or transportation. We thank you in advance for understanding and respecting this standard professional practice that teachers adhere to at Durango Montessori. Lunch begins at 12:00 p.m. unless otherwise noted on the specials’ schedule. Children are provided with a generous amount of time to eat their lunches. When they finish, they are asked to sit and chat with classmates until most are done eating. In addition, we try to send uneaten food home in order for you to know what your child is, or isn’t, eating. Typically, for various reasons, we discourage students sharing food items at lunchtime. Please equip your child with a clean cloth napkin (bandanas work well because of their size), for use everyday. In addition, please make sure you provide eating utensils for your child when needed, and pre-cut food for your child as necessary for their developmental needs. We have seen more than one child attempt to eat spaghetti with his fingers because of the “disruption” it would cause him/her to get up and ask for a utensil from the teacher. Perhaps a pealed orange for your six year old will get eaten, but an unpeeled one won’t? If that is the case, please assist them with pealing it at home before packing it. Please make sure that you provide an ice pack for your child’s lunch to assure that it will stay cold. Additionally, please help us to keep our classrooms clean by packing food that is ‘friendly’ for a classroom environment. If your child is not ready to eat soup from a thermos or other ‘spill-able’ meals with a gaggle of his/her classmates nearby, wait for a time in the future when s/he is more apt to succeed with this challenge. Water Bottles: Human beings need water to stay alive. No surprise there. Did you know that humans (your child included), need lots of water to stay healthy and alert? Label a water bottle and leave it at school for the week. On Fridays (or even more frequently), please take the water bottle home and wash it, then return it on Monday. Please pack your child’s lunchbox with nutritious snacks in addition to lunch every day. We know that you are conscientious about nutrition. The food you provide for your child must be nutritionally dense in order to provide long-burning fuel for your child’s working brain and body. If your child is staying for a program that takes place in the Smiley Building after school, please consider his/her nutritional needs for that time as well. If the snack requires special utensils, such as spoons or forks, please provide them. Durango Montessori generally follows the Durango School District 9-R calendar and the Charter School calendar for scheduled school closure days. Conference days do not coincide with the elementary schools in the district, and Spring Break is usually extended. Each year has a slightly different schedule; please consult Durango Montessori’s school calendar on the website for exact dates. It is very important to us that your child is in school every school day. So many activities and lessons, big and small, happen on a daily basis. Please limit the amount of absences your child accrues. Absences, if not minded, have a way of creeping up on child and teacher. Absences can contribute to confusion from missed lessons, and create exhaustion from the make-up work required to keep your child on track. Being on time and showing up each day teaches children lessons about trustworthiness, responsibility, and character traits they will need when they enter the world of work. Not only all that, but state law requires school attendance! We recognize that your child may not be able to attend school because of illness or family emergency. The school directors will work with you to identify whether absences are excused or unexcused and consider your rights as a parent to make essential decisions about your child’s school attendance. While we do not want children who are sick to come to school, we are encouraging your help in eliminating unnecessary absences. If you plan to vacation during school time, please reconsider this decision. A student is considered habitually truant when s/he acquires four unexcused absences in one month or 10 unexcused absences in one school year. If a child is frequently ill, doctor’s notes may be requested to identify the absence as ‘excused’. If a child is habitually truant a meeting between the parents, the teachers, and the director will be called to address the attendance issues and identify a success plan for assuring the child will regularly attend school. If absences continue to be problematic for the student, Durango Montessori may determine that the child has missed too much school to be advanced to the next grade. Doctor and dental appointments: Whenever possible dental and doctor appointments should be scheduled outside of school hours. If this cannot be avoided, we ask that a note to the teacher (giving the reason and time) be sent with the child. Please do not schedule enrichment lessons during the school day, such as music or sports lessons. Frequent tardiness, studies show, is linked to lower academic performance. The child’s morning routine is disrupted and tardy children may suffer from embarrassment. Did you know that when a child continuously shows up late to school other students are also distracted? Attention is drawn away from the teacher or work and toward the child who has just arrived. Over time classmates may begin to criticize the child who is habitually tardy, and it may affect how s/he feels about school. What can you do to help your child to be on time? First, be a good role model. Show your child that it is important to you to be on time. Second, teach your child organizational skills such as packing their bags and laying out their clothes the night before each school day. Third, guide them by reminding them of what time you are leaving and how much time they have until you are walking out the door. At first it may be necessary to provide a child with an incremental time schedule, such as the time they should be dressed, eat breakfast, brush their teeth, and finally, have their shoes on and bag in hand. Students will always be treated with respect and empathy. Physical discipline or corporal punishment will never be used. Verbal reasoning and discussion will be used when a ground rule is broken. If the rule is broken repeatedly, or if the teachers deem the infraction to be one that concerns the safety of the student or the student’s peers, the student will be asked to take a ‘time out’. Depending on the frequency of the behavior, additional action will be taken which may include incident reports, parent conferences, and additional support recommendations. If a student uses physical force of a violent nature, such as hitting, slapping, biting, or pushing another student or teacher with the intent to harm them, the offending student will be removed from others, and his/her parents will be called and asked to pick up their child from school. The staff member who witnessed the event will write an Incident Report, and the parents will be given a copy of the report. A discussion between the parents and the Directors will establish if the student will be invited to return to school the next day. 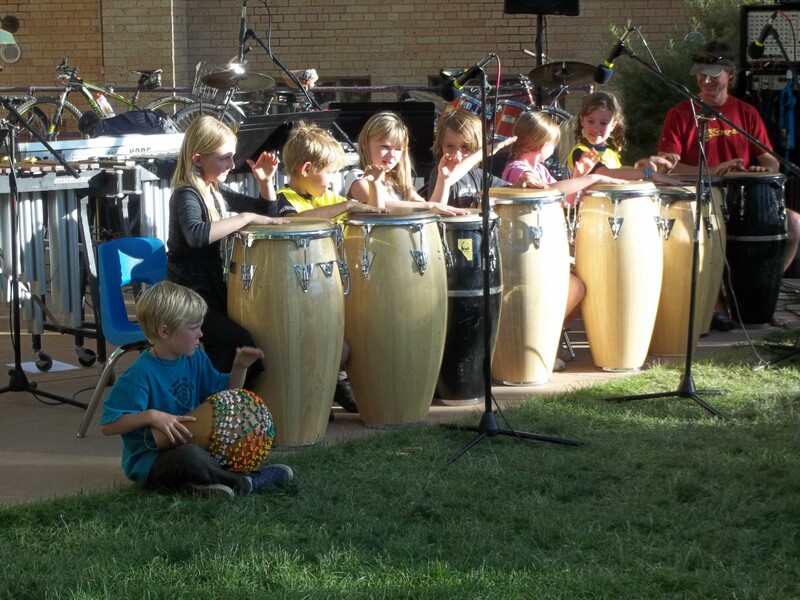 Such incidents are rare at Durango Montessori. Normally, the staff and teachers are alert to potential situations where discipline would be needed. If such incidents happen frequently and are impeding upon the harmony of the school environment, the student will be dis-enrolled from Durango Montessori. We are not easy to get a hold of during the school day because of our teaching schedule and Durango Montessori does not have an office assistant to answer calls. Use your child’s classroom number to leave a text or message specific to something related to your child’s schedule or needs. Teachers will check their voicemail, e-mail, and texts three times per day. During class time the teachers are not available to talk or answer texts. If for some reason the phone is not answered; please leave a message or send an e-mail. If your message is urgent in nature, please call the main administrative line, which will be checked for texts and messages more frequently. Please avoid knocking on classroom doors. If you come to the school unscheduled, and you need to be let into one of the classrooms, knock on the admin. office door to request that a director allow you into the classroom. Do not use or ask for a teacher’s personal cell phone number. Please take a moment to make sure that you have the school’s numbers: (970)442-1204 Lower el. ; (970)553-0530 upper el. ; 970 769-3590 admin. Upon enrolling, parents and legal guardians are asked to sign a general permission form. We ask you to do this in order to have permission in advance to take your child away from the school grounds for brief walking trips. Such trips include, but are not limited to: the Mason Center playground, the Public Library, Buckley Park, and the River Trail. For field trips which include travel by car, bus, or which will take longer than 1 hour to complete, you will be notified well in advance. Methods of advance notice include email, a note on the sign-in table, and a separate permission slip, or list to be signed and returned. Parents who are driving other students on a field trip are asked to show proof of a current driver’s license and insurance prior to departure, in addition to signing a driver agreement to abide by. Parents are never required to allow your child to ride with another individual. If you prefer to drive your own child to field trip locations please let us know and we will plan accordingly. Durango Montessori also uses 9R School District buses for certain field trips and classes. On or around the day of your child’s birthday you may bring in a special birthday snack. The birthday snack may be more festive than usual snack choices in nature. Please no traditional birthday cakes, and please pre-cut or divide the snack for easy distribution. We celebrate birthdays as a class at different times of the day depending on the day’s schedule. Children with summer birthdays are welcome to celebrate their birthday during the last month of school. The guidelines for medicine administration during school hours are based on Colorado State Law and the Colorado Nurse Practice Act. To protect the school and staff from liability and to ensure student safety, schools must provide for the safe administration of medication to students under strict guidelines. We recommend that all students stay home from school and rest when they are contagious to avoid spreading illness to other students and staff and to shorten the length of time they are ill.
We recommend that medications be given before or after school whenever possible. We have two designated staff members authorized to administer medication to your child. All medications to be given at school are required to be monitored, locked, and accessible only by trained staff members. The student’s parent or legal guardian may come to the school and dispense the needed medication. An Authorization to Administer Medication form has been completed with physician’s signature, parent’s signature, and medication dispensing information/prescription. The doctor should include type of medication, the symptom(s) or illness being treated, the frequency of dosage (must be specific), and the time period for which the medication should be distributed. This MUST be completed by a doctor with prescribing authority, even if the medicine can be purchased over the counter. ANY medicine to be given at school requires a doctor’s signature. We cannot accept prescriptions or doctor’s notes from chiropractors, naturalists, herbalists, or nutritionists. They do NOT have prescribing authority. We CAN accept signatures from licensed medical doctors, dentists, orthodontists, and nurse practitioners. The parent must provide all medication to be given in its original packaging. Prescription medication should be in original packaging from the pharmacy and should be labeled with student’s name, date, physician’s name, name of medication, dosage (needs to be specific), and time to be given (needs to be specific) i.e. should not say give every 4-6 hours, but should say EITHER every 4 hours or every 6 hours. All over the counter medication needs to be in its original manufacturer-labeled packaging. paperwork. Do NOT give medications to your child to keep in their backpacks or lunch boxes. If your child will need a designated school staff to administer medication: please find your copy of the Authorization to Administer Medication at School form in the “For your reference” section of your enrollment paperwork. Only students that qualify for self-carry authorization and have been approved to carry and self-administer may transport medications. Please see information below regarding self-carry medications. In 2005, Colorado passed the asthma, food allergy, and anaphylaxis health management self-administered medication law that allows students to self-carry emergency epinephrine and prescription inhalers under certain circumstances. The student needs to be able to demonstrate competency to self-administer. A student with asthma, severe allergies, or other related, life-threatening conditions may possess and self-administer medication to treat the student’s asthma, anaphylaxis, or other related, life-threatening condition. The student will need to have a Care Treatment Plan approved, and be in compliance with the Medication Administration Procedure in regard to proper prescriptions and paperwork. Please notify the director ASAP if your child will require self-carry approval. Our contracted RN will be working with the director and with you to get the proper approval in place for your student to self-carry. A Care Plan will be developed and will be on file for staff members to reference when needed. Your child’s doctor will need to complete, approve, and sign the Care Plan. If your child will need the designated school staff to administer medication, at any time, please have the Authorization to Administer Medication at School form completed by your physician (see previous section for details). Colorado state law requires that all private schools obtain up to date immunization records from a licensed physician or representative of the Department of Public Health OR a document exempting a student from immunizations for medical, religious, or personal beliefs. Families who choose to be exempt from immunizations are required to furnish the “Statement of Exemption to Immunization Law” form to us. The Colorado Board of Health Rules states, “In the event of an outbreak, no exemptions or exception from immunization shall be recognized and exempt persons will be subject to exclusion from school and quarantined.” Please see a director for any concerns regarding this matter. Accident or Injury to the Child. Staff will administer first aid for minor accidents including scrapes, bumps, bruises and minor cuts. In the case of a serious accident or injury, parents will be contacted immediately. 911 will be called, depending on the severity of the situation. Natural Disasters (blizzards, wildfires, etc.) We expect parents to pick up their children immediately in the case that schools are being closed due to such circumstances. If there is an emergency that requires the school to evacuate, we will go to where the authorities have advised us and notify parents as quickly as possible. Inclement Weather We go outside every day, weather permitting. This means that we do go outside after it has snowed, or while it is snowing. The only weather condition that keeps us from playing outside is rain, lightning, or remarkably cold weather. With that said, please make sure your child comes to school each day with clothing and outerwear suitable for the weather. During the winter months, snow pants may be left at school overnight. Occasionally, the school day is delayed or closed because of snowy conditions. School closures are implemented for the safety of drivers on the road. We follow the snow procedure of the 9-R School District. If they are delayed or closed, so are we. In the event that a delay or closure happens, the DMS website will reflect the day’s plan. Our phone message will also be changed (970 769-3590, admin. line). Our families will also be notified through 9-R’s AlertNow system. You may also call the District Information Line at 375-3817, or go online at www.durangoschools.org. If there is a delayed start of one hour, Durango Montessori will start at 9:30 a.m. instead of 8:30 a.m.; if there is a delay of two hours, Durango Montessori will start at 10:30, and so on. The school day ends at the normal time, 3:00 p.m.. Decisions about homework vary depending upon the teacher, the needs of the students, and the age of students. Sometime during the school year, some sort of homework will be given. Homework assignments vary in length and activity. A small amount of homework will at some point be a part of your child’s school experience. Homework serves three purposes: 1. It is an opportunity for you and your child to interact on behalf of his/her learning, 2. It is a time when your child can practice skills that they learned in lessons, and, 3. It provides an opportunity to form good habits for their future; children need to practice taking their homework bags or folders home and returning it to school on time without losing it or damaging it. Believe it or not, this can be a big challenge and the more children practice it, the better they get at it, so that when homework becomes of even greater importance to their academic success this skill set is already mastered. Please help the children learn to navigate their feelings about themselves and their peers by following good practices of self-advocacy and respectful communication. Turbulence in relationships is inevitable. If the protocol is followed, the need to revisit the problem at home decreases. We ask that you assist children in avoiding ‘sensationalizing’ and over dramatizing issues that arise at school. Conversations with siblings/parents can make small issues seem much larger. Ask your child if a resolution was sought, and if they followed the problem solving process. We would like for our small community to be harmonious, and we work hard to maintain this climate during the school day. We ask that parents reinforce what we are teaching the children by modeling our problem-solving process. If you have any questions about this information, please feel free to speak with any or all of your child’s teachers. Durango Montessori, founded in 2005, operates as a non-religious, independent elementary school serving children in K through 5th grades. Our goal is to encourage the emotional, physical and intellectual development of each child through individualized learning opportunities based in the Montessori philosophy of education. Classrooms have nationally certified Montessori teachers and/or state certified teachers who are experienced in using the Montessori philosophy as well as other practices to teach a solid program of math, language, science and cultural curricula. Durango Montessori is a not-for-profit entity governed by a board of directors. Officers are chosen for various reasons, because of their professional relationships in the Durango community. The officers are volunteers and may or may not have experience in school-related topics. The directors of the school are not board members. 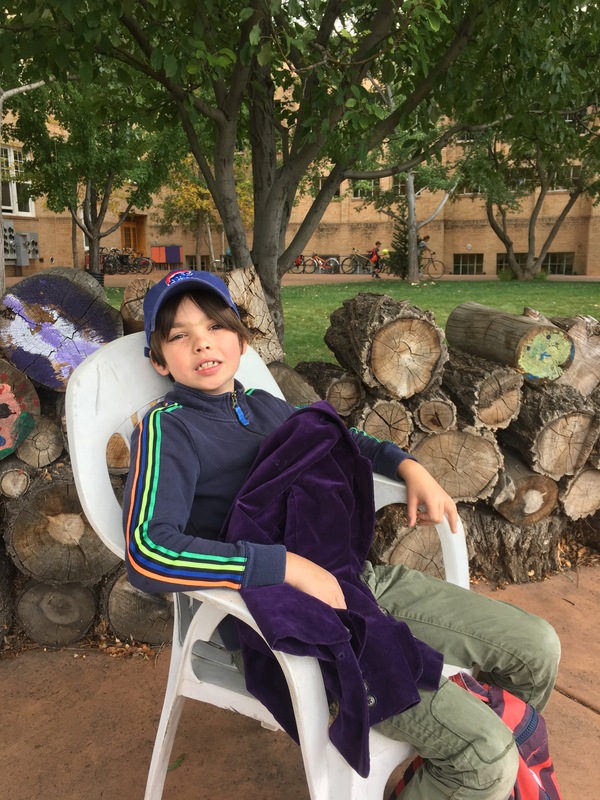 When a student needs to be redirected as a result of unacceptable behavior, the staff at Durango Montessori will employ the process for addressing the undesirable behavior stated in the Parent Handbook.